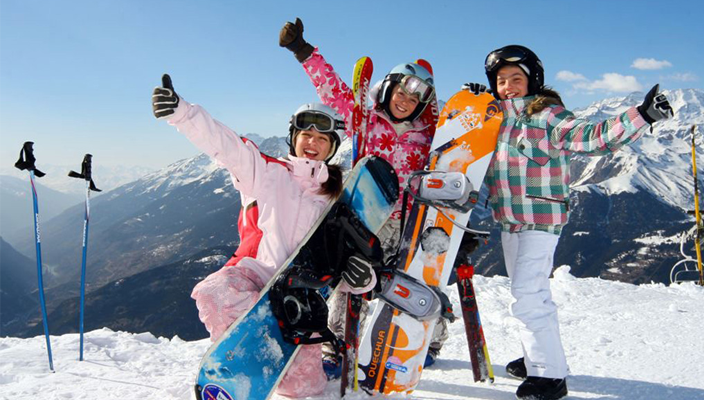 We’ve asked the ski experts at Inghams to give us a few tips on how to prepare our children when going on holiday to the slopes! Have a look at the tips below and let us know yours! Getting Dressed For Skiing: Clothing: – Always best to layer clothing so that they can add more or remove some depending on the weather. – Good fitting ski boots and helmet are essential.​ – If wearing sunglasses they should be on a chain so that they do not get lost if they fall or get taken off. – If wearing goggles make sure they are attached to the helmet. – Gloves/Mittens should be easy to put on and off. In their Pockets: – A small sun cream and lipsalve as the weather is constantly changing in the mountains – A snack – something to give a bit of energy during the morning – A couple of Euros – just in case they stop for a hot chocolate (normally more likely to happen if the weather is bad) Preparing Your Child For The Lesson: – Make sure you are on time, or even a bit early for the lesson so it starts calm and not rushed. – Tell your children exactly where you will meet them after their lesson so that they do not worry. – Make sure they know the name of their instructor. They may be tired after their lesson so it’s always a good time to stop for a drink/food and catch up on their day. The more prepared you are the better, if the children are happy then you will be happy and relaxed, which makes for the most amazing holiday and memories that will last a lifetime.